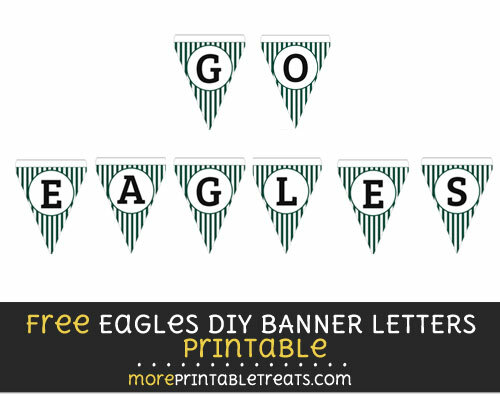 Print out these Eagles colors DIY banner letters and string together your own party phrase. These Eagles colors flags have a white background with bold green vertical stripes. There are black letters in the center of the pennant flags. The letters included in this download file are N-Z. Get the first part here.